It’s been several weeks now since it was announced that I’m writing a Star Wars graphic novel for Dark Horse Comics. In that time, I’ve intended to blog about it, but I’ve never been able to actually get started. How should I approach writing about this, especially given that I’ve been sitting on this announcement for three quarters of a year? For one thing, it’s easily the biggest thing that’s happened in my comics writing “career” - at least since I published my first comic, if not ever. For another, just by virtue of the strength of the brand, there’s a good chance that more people will read this comic than just about anything I’ll ever write. And then there’s the fact that Star Wars has been in my life for literally as long as I can remember. Before I ever read a comic book (or anything, for that matter), Star Wars was there. 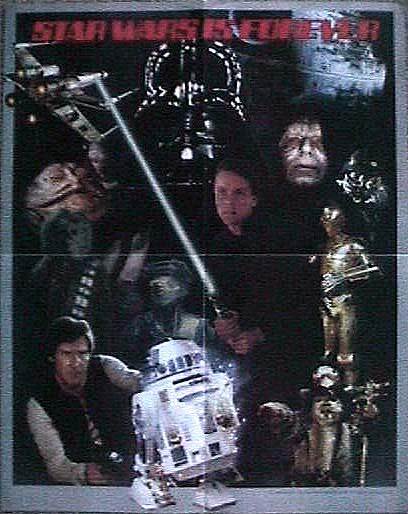 I saw Return of the Jedi in theaters when I was about three years old. I had the Kenner action figures. I had ROTJ wallpaper border in my room until I was in college. I had a poster on the wall with an inscription I stole for the title of this blog: Star Wars is Forever. Also on my wall: two pieces of original art - Star Wars pin-ups my dad drew for Marvel UK comics. One of the biggest culture shocks of my life was the first time I left my job at Wizard and went to work at a company where no one knew who Bib Fortuna was. Star Wars is so intrinsic to my identity, but unlike a lot of other things I’m a fan of I never considered writing for it. (Other than, of course, chronicling the adventures of four lovable Stormtroopers in several episodes of Twisted ToyFare Theatre). It felt like something that was there for my enjoyment, not for my use - possibly because so much of it spilled from the mind of just one man. 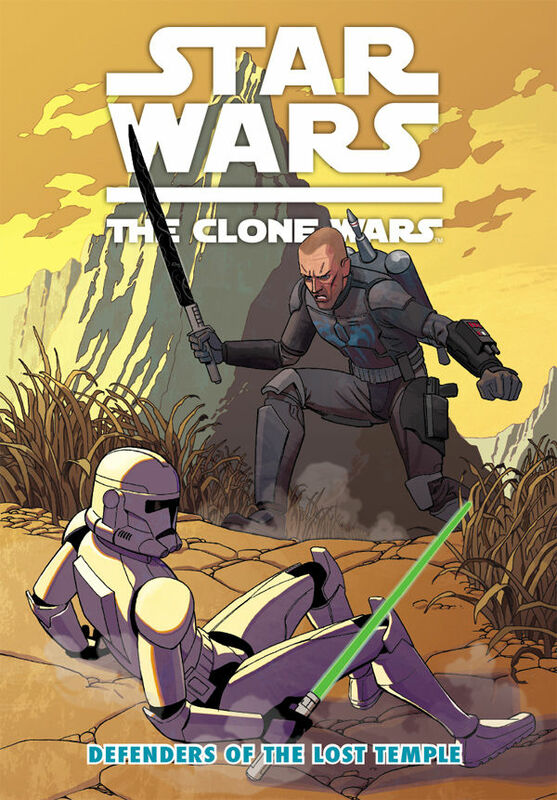 But when the call came from my editor, the incomparable Dave Marshall, asking if I wanted to pitch some stories for Dark Horse’s kid-friendly line of Clone Wars graphic novellas, I didn’t think twice. Of course I did. Dave explained that kid-friendly doesn’t mean juvenile. I should write the kind of Star Wars story I’d want to read, and just avoid graphic violence. That raised a question I’d never had to consider before: What exactly is it about Star Wars that I enjoy? Choose carefully, because you’ll have to build a story around it. It turns out that I’m not a big fan of space battles, because none of the stories I pitched involved them. I like Jedis and lightsabers - they were central to all of the plots. I like the sense of adventure and the strong hero’s quest that are central to Episode IV especially. Coming up with stories that felt worthy to add to the canon (and don’t think I wasn’t mindful the entire time that anything I created would have to be added to Wookieepedia at some point) was possibly the most intimidating assignment I’ve ever had. In the end, I’m proud of what I came up with and what Dave helped me craft into the final story. I’m especially proud of how good it looks - the artwork from my S.H.O.O.T. First collaborator Ben Bates and the colors by Michael Atiyeh make this the best-looking Star Wars comic that I’ve ever seen. (Seriously - you have to check this thing out.) I’m really looking forward to people getting to read it - especially my daughters. I’ve never written something they could read before, and certainly never something that they’d understand is a big deal. But they know Star Wars. Everyone knows Star Wars. Star Wars: The Clone Wars - Defenders of the Lost Temple hits stores on March 13, 2013, and it’s available to order now wherever books and comics are sold. I’m sure I’ll have a lot more to say about it as we get closer to release.